One of the major transformations caused by the industrial revolution, technological developments and globalization is undoubtedly the acceleration of urbanization. Globalization in particular is one of the key factors that catalyze this transformation. In this context, globalization is compared with multidimensional transformation projects. The role of major cities in the third world in social, economic and cultural geography is crucial because of the spatial economy of the world. On the other hand, in the context of a global world, the process of restructuring that the Third World economies have entered has been reflected in urban and architectural development practices. The cities of the Third World have almost become the stage of growth, growth and demonstration. Changes observed in residential architecture after the year 2000, with a focus on the character of the city of Istanbul in the identity of the Third World, the economic, social and cultural data will try to read. In Istanbul, there is a fact that urban development that accepts the superiority of the economy and support investment in the central business district has changed completely with the development of the service sector. With unplanned population growth observed in the urban range, different patterns and forms of life emerged within the same city. The plans and projects of entrepreneurs producing in the housing sector are an important phenomenon faced by developing countries, especially in Istanbul. In the beginning, urban rents have been replaced by small business by the large capital interest in recent years. After the apartment period, which is seen as a symbol of luxury life, especially for some high standards of living, suggests imposing an ideal home concept, homogeneous life and elite locations far from the nearby city seem to be gaining importance. 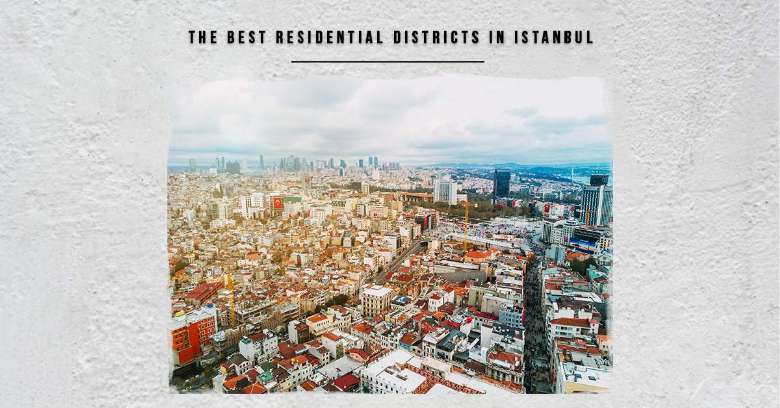 Therefore, we are trying to review the Kartal project, which is trying to introduce a revolutionary style in the city of Istanbul to rehabilitate itself to develop its urban plan, within the framework of urban economic and social development policies that encourage the central and local government. In 2006, Istanbul Municipality and Kartal Municipality held a competition between foreign architectural agencies to design pilot projects for Kartal and Bendik. In 2007, the Mayor of Buyukshir said a few words explaining why the idea was not presented to local companies: "There is no architect in Turkey capable of to design such a project ", announced the victory of Zaha Hadid in the competition. But despite this victory, this project has not been implemented on the ground, or rather it can said that it has hampered work and has never been implemented! Zaha Hadid's project was rejected despite its winning by the architects' room, like any other project rejected because some members of the council are hindering its implementation. They put the claim on the project and within six years the court issued five decisions to stop work on the project. During this period, the project designs were modified and manipulated and the plans changed until they were later accepted. The Kartal Urban Transformation Project is a new city center located on the eastern bank of Istanbul. It is the redevelopment of an abandoned industrial site to a new branch in Istanbul. The new city will include a central business district, high-end residential development, cultural facilities including concert halls, museums and theaters, as well as a new marina and resort hotels. The Pendik framing is strategically placed at the intersection of several important infrastructure links - the point where the highways connecting Europe and Asia, the coastal highway, the sea hubs, and the rail links to the metropolitan area. In fact, these same elements form the starting point for the design of the master plan, which uses the lateral lines to connect the main road links from Kartal to the west and Pendik to the east. The integration of these lateral links with a central longitudinal axis creates a soft mesh - the basic framework of our concept, its texture more articulated through an urban text that generates different models - buildings that respond to the different requirements of each region within the whole. This linear text creates open conditions - open conditions that can be transformed from separate buildings into perimeter blocks and, ultimately, hybrid systems - and together form a porous network of interconnected open spaces that "stumble" throughout this new urban center. The site is located at the intersection of several important infrastructure links, including the main highway linking Istanbul to Europe and Asia, coastal highways, marine bus stations, and heavy and light rail links to the metropolitan area. Urban fabric includes both cross-towers and surrounding complexes. The picture shows the morphological range of the ocean mass type. The blocks are divided into four quarters allowing a secondary pedestrian path system. At certain network crossing points, the cluster system is absorbed into the tower system: each cluster blocks one of the quadrants to form a false tower around the grid crossing point. There is a global convergence of modern, avant-garde architecture that justifies the declaration of a new pattern, called "parametric" systems (Fig. 1). It is particularly suitable for large-scale urbanization as evidenced by a series of master plans championed by Zaha Hadid engineers. In addition, Kartal is designed as a new central business district in the city. It leads to sustainable multi-center settlements and the decentralization of the city. (Figure 2). In some areas, the network rises to form a network of towers in an open landscape, while in other areas it is turned into a more dense pattern of streets, and at other times it may completely fade to generate gardens and open spaces. Some areas extend to water, creating a matrix of floating marinas, shops and restaurants. The fabric is also illustrated by an urban text that generates different types of buildings that meet the different requirements of each region. This linear line creates open conditions that can be transformed from detached buildings into surrounding blocks, and eventually to hybrid systems that can create a coherent porous network of open spaces that slither across the city. the master planner is a dynamic system that generates a framework adaptable to urban shape, balances the need for a recognizable image and a new environment with a sensitive integration of the new city with surrounding areas. The Kartal Pendik Waterfront Renovation Plan is the most important urban infrastructure project in Turkey. Covering an area of 3.5 million square meters in eastern Istanbul, which is also one of the largest developments of its kind worldwide. Kartal is vital to Turkey's economic success. Istanbul is the economic engine of the country, but its one-dimensional spatial model threatens to halt its future growth. Kartal, designed to be the city's next central commercial area, is the first and most important step in urban decentralization and will form the backbone of a sustainable urbanized urbanization. Will the Project Find its Way To Light? The First: Linked to Purely Political Issues This is not the case without the introduction of politics and endless arguments in any architectural project of the country, even if the project to be built in the interest of the country, they enter the policy in order to stand in front of him, it is not related to the quality and aesthetic design, but Council members politicized willing to stop the entire project Based on their opinion and hard-liner political thought, the rejection of the Zaha Hadid project, despite its victory by the architects' room, as well as any other project, was rejected for reasons related to subordinating the giant strategic projects to political intrigues. Democracy, and the consequences of democratic action accepted by all. It is true that this cost a delay of more than a decade. It was eventually accepted later. The strange thing about the subject, ironically, is: even after the project changed, those who support the idea of ​​the project today and embrace it are themselves who opposed and argued in the municipal councils so as not to be implemented on the ground. However, while sticking to the impartiality of political issues, the Secretariat requires that there be some positive impartiality of the issue of quality and perfection of the work of architectural design which is a matter of technical, technical and quality of performance. The only one responsible for what is seen today in the lack of mastery of Istanbul's architectural designs is the architects' room. Behind every project is far from aesthetics and creativity, and behind every cheap project designed on the accelerator stands the signature of a member of the room, means the signature of one of the architects! If you look at the city from a high building height you will see how the lack of consistency and chaos in the design covers the whole city, and also because of the members of architects' room architects. How great it would have been if Zaha Hadid had left a trace in Istanbul! But this opportunity has gone with the wind now. As Kadir Top Bash said, "Everyone is inventing what he cannot" and fortunately, foreign architects are there. They put their architecture in the forefront and bias of political thought in another hand, and see them creativity and mastery in design and implementation, making the city an archaeological landmark and historical in itself. It is therefore necessary that the issues of rejection in local councils should not be solely for the sake of rejection, but rather to separate the policy from the artistic work of architectural design. The project was eventually accepted to open the way for the project to proceed. Urban growth in those stages was characterized by a pattern dominated by self-construction based on “ gececondu” and literally means " Built Overnight" in the construction of single-story dwellings. This development was illegal in the "treasury" (i.e. on state-owned land) with a complete lack of infrastructure services. The overall result of these urban growth was the hundreds of neighborhoods built according to low building standards, with poor services and minimum standards. In Istanbul more than 80% of the housing is illegal. In a climate of modernization that has developed rapidly in recent years, policy makers have focused on the need to upgrade Istanbul's urban fabric from the perspective of meeting the needs of economic restructuring of Turkish cities and improving social conditions, taking into account the need to upgrade the image of the city, Foreigners, reducing the aggravation of social and spatial inequality, and second, creating new sub-centers in strategic locations to meet the requirements of a rapidly evolving urban economy. However, urban development was of poor quality. The general safety of seismic impacts and the quality of environmental safety were neglected. A large part of the damage was a direct result of the failure of the planning system to guide urban development away from high-risk areas. 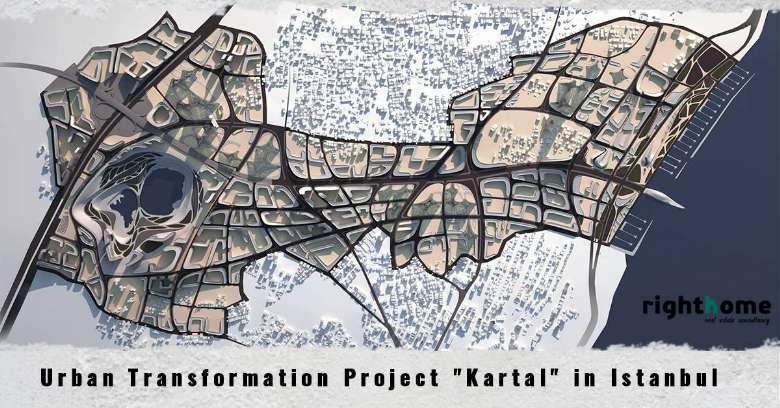 The final stage is the current situation embodied in the planning for sustainable urban renewal, in which the proposals previously referred to the future of Kartal were developed through the top-down planning process which unfortunately overlooked the large segment of the poor and sub-middle classes, There has been no attempt to link the evolving proposals of the North-South axis to the need to develop a strategy to restore low quality neighboring and degraded neighborhoods. The Iron Project is being developed in isolation from neighboring neighborhoods. And avoid the situation that makes development limited only to middle income groups and high income. Improve the economic conditions of residents in neighborhoods, through the creation of local jobs and access to jobs elsewhere in the region through the improvement and development of vocational education and job training. Here is the insistence of the Turkish government to move forward to implement the project. The project has faced many challenges during the last ten years, during which the solution of all its dilemmas, regardless of whether it is in favor of the project or diversify smooth track. The project is an important component of the country's strategic plans and priorities of its advanced programs to develop Istanbul as a global city. The project is essential for the development of a broad horizons for the sustainable development of Greater Istanbul and opens the door for real estate development for both domestic and foreign investors.